EVA mats is just another name for interlocking floor mats. EVA mats are manufactured using Ethylene-vinyl acetate (EVA). It is also know as poly ethylene-vinyl acetate (PEVA). EVA is a copolymer of ethylene and vinyl acetates and is an elastomeric polymer that produces materials which are “rubber-like” in softness and flexibility. EVA’s rubber like qualities make it ideal for EVA floor mats. Especially mats that require anti-fatigue qualities. EVA is commonly know as expandable foam hence it is also commonly know as foam mats. EVA is commonly used in a number of products but our sole application is for interlocking floor mats. So if you need a good anti-fatigue mats for your martial arts or gym training look no further than EVA interlocking jigsaw mats. 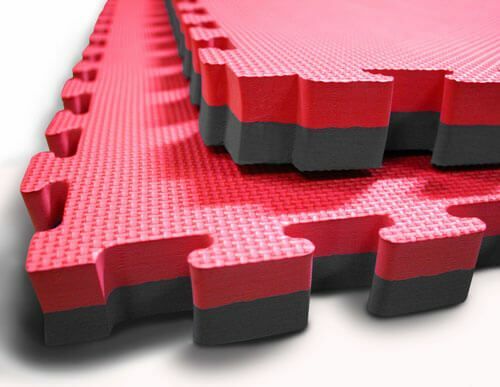 Contact Australia’s best EVA foam mat supplier Ezymats today.